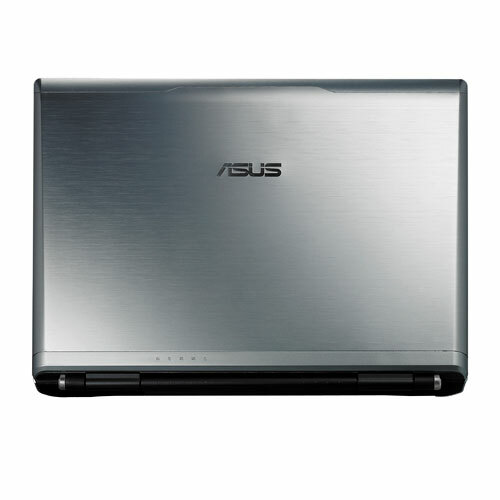 Asus W90vp Notebook con Radeon Mobility 4870X2. Tres mil doscientos Euros. Eso valdrá este ordenado cuando en pocos días salga en nuestro mercado. Entiendo que cada uno tiene sus necesidades y su forma de entender la informática pero para mí este modelo no es más que una demostración de ingeniería que obtiene unos resultados notables y que seguro que tendrá un nicho de mercado interesante pero sin duda lejos del consumidor medio y del que busca la mas mínima movilidad cuando adquiere un portátil. Asus has carved itself an impressive reputation in the notebook market, with the majority of its models offering just the right mix of quality, design and value. 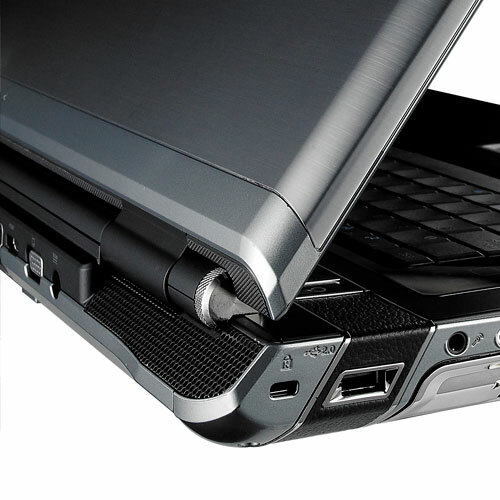 Although not without its limitations, the W90 is an impressive and capable desktop replacement. Those looking for the best multimedia and gaming experience available need look no further than this, though for nearly a grand less we'd recommend you also consider MSI's exceptional GT725. Asus has unleashed a dual-GPU monster. Upon its release in the first half of this year, Asus' W90 blew us away with its level of performance, and was the fastest laptop at the time to pass through our testing labs. There's a lot to like about the Asus W90. It may not be as chic as the MacBook Pro and it's certainly lacking the software, but it is right at the top of things when it comes to power, and those looking for uncompromising performance would be crazy to look elsewhere. 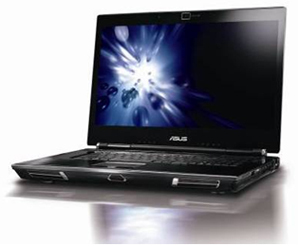 Asus' W90 produces staggering amounts of performance and plenty of features. Although not typically known for its gaming laptops, Asus has become more of a face in the gaming market of late, and it's W90 (£2399 inc. VAT) is the fastest laptop we've seen yet. While it is an expensive choice, if you are after the ultimate gaming machine then Asus' W90 must surely top the list. It's simply the most powerful laptop we've seen to date. Asus' Republic of Gamers brand usually lags behind Alienware and Dell XPS laptops, but that looks set to change thanks to the W90. Potentially the fastest gaming laptop in existence, Asus hopes it will dominate the gaming world in the same way its Eee PC range has cornered the netbook market. It's available to buy now from £2,228. The W90 is an epic machine. Not only is it the fastest gaming rig we've ever encountered, it's also well-designed and sensationally well-equipped. If you're strong enough to lift it, and you can afford the thing, you have our blessing to buy. You wouldn't know it to look at, but the Asus W90 is one of the most explosive laptops we've ever seen: beneath the understated brushed aluminium chassis lurks the first laptop in the world to deploy a pair of ATI Mobility Radeon HD 4870 graphics chips in CrossFireX. 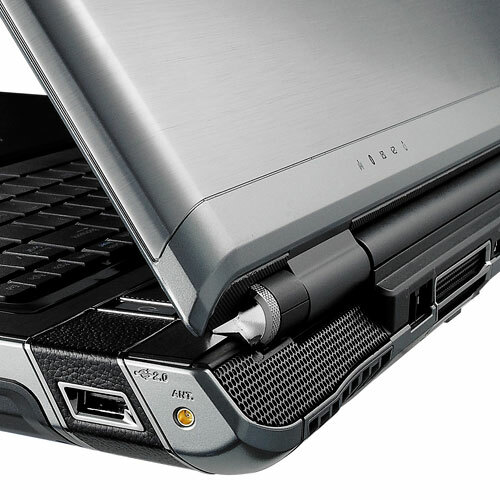 Accordingly, the W90 achieved the fastest gaming results we've ever seen from a notebook. Our low and medium-quality benchmarks (1,024 x768 and 1,280 x 1,024) were decimated at 77fps and 48fps respectively, and the Asus' score of 37fps in the high-quality Crysis test is the best we've ever seen from any laptop. Expensive, bulky and heavy, but this beast of a laptop is the fastest gaming machine we've ever seen. Though the Asus W90VP offers astounding high-res gaming frame rates, its moderate overall performance and weak sound disappoint. The Asus W90VP matches the typical specs and performance scores of rivals, especially when powering through high-res games with its dual GPUs. Simple, software overclocking makes it a good fit for gamers. But it lacks the jaw-dropping overall performance and polish of other desktop replacements. Despite its terrific frame rates, its weak media features narrow this desktop replacement's appeal. Packing quad-core power, twin ATI Radeon graphics cards, and Blu-ray, this is one droolworthy multimedia machine. Priced $200 cheaper than the Toshiba Qosmio X305, the ASUS W90Vp-A1 one-ups its rival by offering better performance, a full HD display, Blu-ray, and a faster hard drive. Gamers and multimedia mavens alike will be hard-pressed to find another system that deftly combines robust sound, graphics muscle, quad-core processing, and high-end design. If you can swing the price tag of $2,499, the W90 is a stellar entertainment machine. If you're on the fence deciding between buying a desktop gaming PC and monitor or going with a less powerful, but more mobile laptop, let us introduce you to the Asus W90Vp-X1. It isn't much to look at as gaming notebooks go; however, it has everything we expect and more in the features department, including dual ATI video cards, and its processor can go from fast to faster in an instant. The massive Asus W90Vp-X1 won't win any design awards, but its mobile gaming performance is tough to beat. 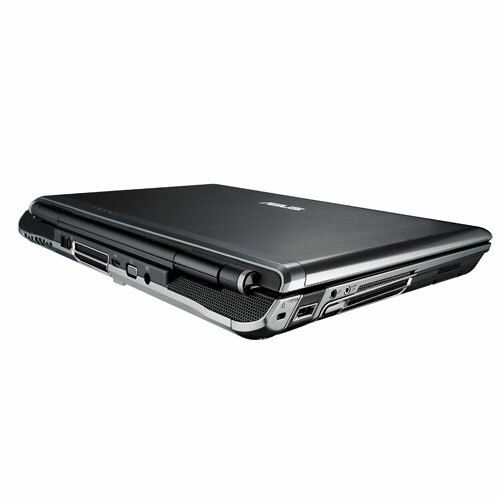 All in all, Asus' W90Vp is a unique, powerful notebook that serves a certain niche. 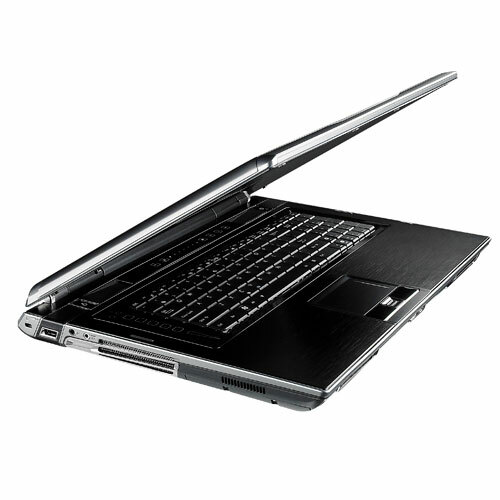 With two 320GB hard drives, a Core 2 Quad Q9000 CPU, built upon a desktop X38 chipset with a Blu-ray optical drive to boot, you'd never know this thing was a laptop based on specifications alone. As the benchmarks have shown, this machine really knows how to scream through all but the most extreme of tasks. As a desktop replacement, it serves its positioning well. In most situations, it really can act as a direct desktop replacement, and by a small margin, it's more portable than your average tower -- imagine that. Overall, we'd have to recommend the W90Vp if you're in the market for a beast of a desktop replacement. For everyone else, we'd recommend thinking twice before you buy in. There's no re-purposing this thing. It's a brawny gaming rig with practically no real portability factor, so be darn sure that's what you're after before taking the plunge. The Asus W90Vp-X1 comes up big in several ways. Aside from its massive dimensions, it delivers blazing productivity and graphics performance and is loaded with top-shelf multimedia features, including a huge high-resolution display and a rocking sound system. ASUS really made something special with the W90. Not only is the W90 the fastest gaming notebook we have reviewed, but it is undercutting other high-end gaming notebooks by a significant amount. Comparable notebooks from Alienware or Toshiba with dual graphics cards options cost upwards of $4,000. ASUS offers this faster gaming rig for only $2,199, a perfect mix during this recession where people might not want to spend the same on a notebook as they might on a used car. Build quality is excellent, making the W90 feel like a tank in durability and weight. We think this is one of the best gaming rigs on the market right now and will take some serious thought by a competitor to try to beat it in performance or price. ATI Mobility Radeon HD 4870 X2: Dos Mobility Radeon HD 4870 en modo Crossfire (similar al SLI). Dobla el consumo de corriente pero muestra solo una mejora de rendimiento de 0-50% (depende del soporte del juego, controladores y ajustes). Estas tarjetas de video de clase media pueden mostrar todos los juegos actuales fluentemente. Juegos exigentes sólo pueden ser jugados con configuraciones de detalles medios. Q9000: CPU Quad Core (4 nucleos) que sufre especialmente en muchos juegos por la baja velocidad de reloj. Por tanto no es adecuado para juegos si no solo para aplicaciones multihilo. 82.85%: Esta evaluación es para ser considerada como promedio, porque la cantidad de portátiles con mejores evaluaciones es casi la misma que la cantidad con evaluaciones peores.